The most effective and efficient way to screen cargo for explosives is with an MSA Windsor Team. 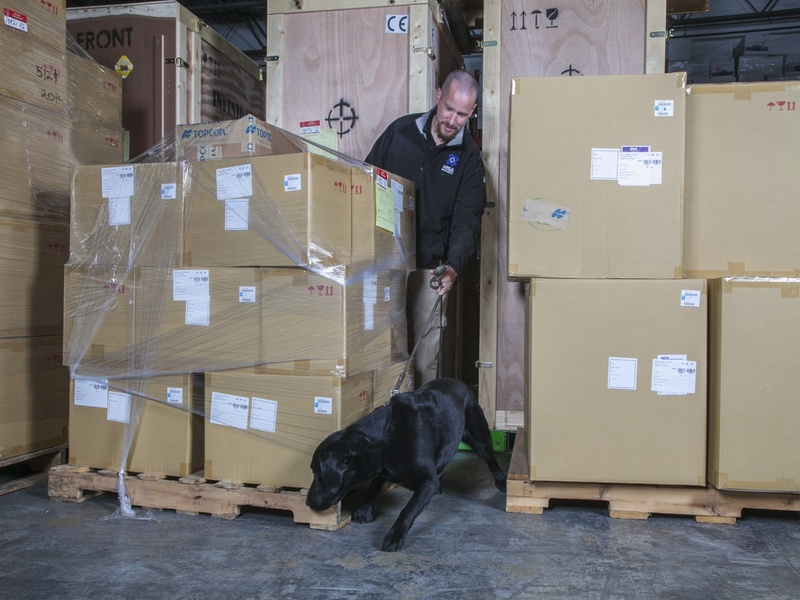 Whether it’s a ULD, Cookie Sheet, Homogenized Pallet, or Loose or Bagged Cargo, MSA bomb-sniffing dogs and their dedicated handler quickly assess even the largest of cargo areas for potential explosive threats – without disrupting business operations. MSA Explosive Detection Canine teams have changed the way leading carriers screen packages – increasing safety, improving efficiencies and lowering costs. It once took 6 hours for a single ULD to be X-ray screened for explosive threats. A Windsor Team sweeps that same area in just minutes. "After $19 billion spent over six years, Pentagon realizes the best bomb detector is a dog"
With an uncompromising commitment to comprehensive operational training, 60 of our more than 650 global Windsor Teams are specially trained and prepared for air cargo industry deployment. 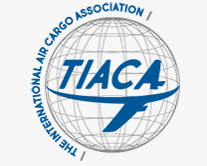 The air cargo industry demand for skilled EDC teams grows more significant each day. 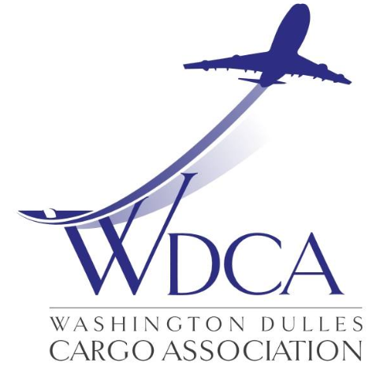 Actively engaged with the industry, MSA Windsor Teams meet rigorous TSA standards and are well equipped to support the anticipated third-party screening demands from regulated cargo carriers of all sizes. With offices and training facilities in key U.S. and global markets like New York City, Connecticut (Windsor), Boston, Chicago, Washington, D.C., Memphis, San Diego, Dubai and Hong Kong, MSA maintains an ever-growing Windsor Team network with the ability to rapidly deploy to organizations worldwide. Are You Operationally Ready for Third-Party Canine Integration? 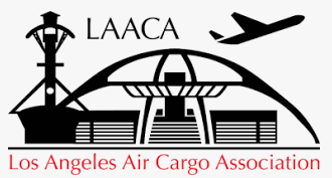 Marc Murphy serves air cargo and aviation industry clients by providing advanced security and explosive detection solutions that successfully address today’s security threats. He carries more than 18 years of law enforcement, investigative and transportation security experience. 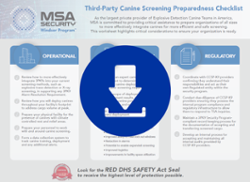 With the TSA’s approved third-party canine screening program (3PK9 CCSP), Marc has been instrumental in performing assessments and providing support along with critical information to stakeholders throughout the industry. Marc directs MSA’s industry-leading air cargo and aviation program, providing customized solutions to help businesses operate safer and more efficiently, both in the U.S. and internationally. MSA Security received the very first DHS SAFETY Act Certification award in 2004 and is the only company to have maintained the highest level of certification consistently for 15 years. SAFETY Act liability protection extends to MSA clients when deploying Windsor Teams. Receive the most protection available with MSA's DHS SAFETY Act Certification.